Mexico has been at the forefront of the obesity epidemic and borne the crippling burden of sugar related chronic NCDs. It has also been a leader in implementing public health policy to regulate the addition and consumption of sugar. This film by Cacto Productions and El Podel Del Consumidor tells the story of Don Gonzalo,a bus driver who is diagnosed with diabetes. His story is interwoven with testimonies of patients from different parts of Mexico and commentary from national and international experts on the obesity epidemic in the country as the government introduces public health legislation to try to halt the epidemic. Thanks to Paul Freestone, a blogger who recently saw the film for this review…..
Sweet Agony is very good, and it definitely gets its message across but it’s slightly let down by poor production values. I don’t want to be too picky about this, but after the two outstanding documentaries in the recent Green Film Festival Sweet Agony looked a bit amateurish. If poorly educated Mexicans are the victims of cynical business practices, what about other richer parts of the world? In the UK and the US the junk food culture is firmly entrenched with booming obesity and diabetes as a result. The obvious conclusion is that levels of income, education and intelligence are almost irrelevant? Why would anybody want to drink Coca Cola when they are fully aware of the fact that it’s stuffed full of sugar? Why would any responsible parent allow their kids to consume this deadly product? 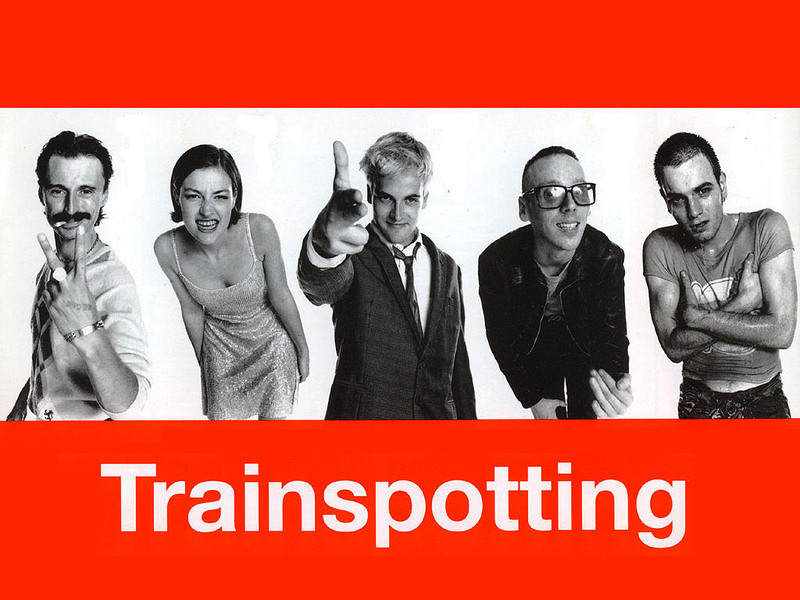 For more of Paul’s writings please check out his website below…..
Classic ‘Cool Britannia’ film by Danny Boyle. Ian Diley examines the messages this film has for anyone involved in public health and health promotion this article from Ph1. When Psycho was released in 1960 the US was in the middle of examining its treatment of the mentally ill. Several high profile exposés had revealed the horrendous conditions of mental institutions as well as abuse of patients, which caused a public outcry. It also came during a time where psychopharmacology was becoming increasingly widespread. The combination of these factors leads to the policy that became known as ‘deinstitutionisation’ 1. Just as those who suffered from mental illness were being integrated with the community, horror stories of mental illness began to emerge. In Robert Bloch’s 1959 novel Psycho (that Joseph Stefano’s screenplay is based on) Norman Bates was inspired by Ed Gein the then infamous so-called “Mad Butcher” who was committed to a high security mental institute in 1957, following accusations of two counts of first-degree murder and other counts of grave-robbing. He was declared sane enough to stand trial in 1968 when he was found guilty 2. When talking about Psycho, Bloch said that the terror of it came from the fact that the killer could be “the boy sitting next to you” 2. However, he is probably not. “Mental illness is a significant, albeit modest risk factor for violent behaviour,” 3 although “the absolute risk is low” 3 without concurrent substance abuse 4. 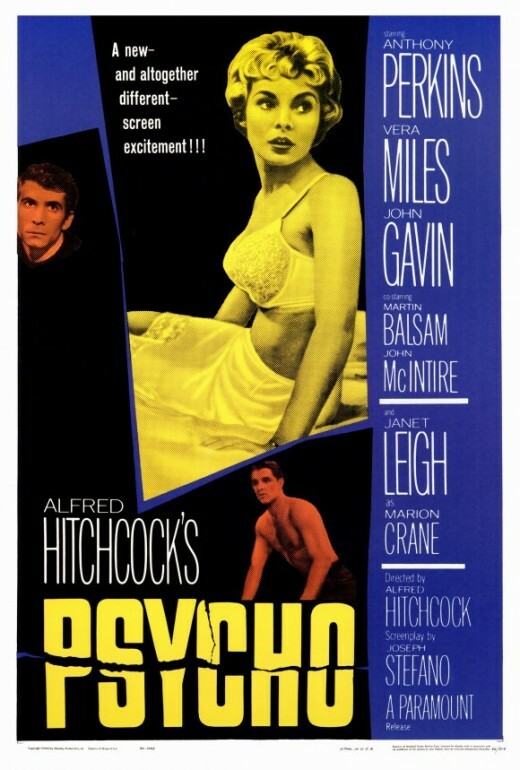 One film can only have a limited impact, and although Psycho is regarded as a modern classic over fifty years since its release 5, its real influence comes from the films it inspired. Pyscho “has had a huge influence on later movies, partly because it was so successful financially 5.” Many influential films like Friday the Thirteenth, Halloween, The Texas Chainsaw Massacre, Silence of the Lambs and indeed the entire ‘slasher’ genre 6, grew out of Psycho and forged the link in people’s minds between mental illness and violence. This is backed up by a growing body of evidence into both mass media portrayals of mental illness and public opinions formed because of it 7. This has consequences for people with mental illness. “The stigmatisation of mental illness affects health care utilisation and treatment rates” 12, and if people do make it to see a doctor, the doctor may be uncomfortable talking about mental health as they have been influenced by the same media images 13 leading to a “double barrier [to treatment]” from “patient’s shame in admitting to mental illness and a physician’s reluctance to inquire about it” 12. The stigma around mental health also has a negative effect on those people who have already been diagnosed with mental illness. In a survey done by the mental health charity Mind half of the 515 respondents said that media coverage had a negative affect on their mental health, ranging from increased anxiety and depression to suicidal feelings 13. 1. Erb CM. “Have You Ever Seen the Inside of One of Those Places?”: Psycho, Foucault, and the Postwar Context of Madness. Cinema Journal, 45, Number 4, Summer 2006, pp. 45-63. 2. Leigh J. Psycho: Behind the Scenes of the Classic Thriller. Easton: Harmony Press, 1995. 3. Edney DR. Mass Media and Mental Illness: A Literature Review. Canadian Mental Health Association, Ontario. Report number: 1, 2004. 4. Wahl O. Media Madness: Public Images of Mental Illness. New Brunswick: Rutgers University Press, 1995. 5. Steadman, H., Mulvey, E., Monahan, J., Robbins, P., Appelbaum P., Grisso, T., et al. Violence by people discharged from acute psychiatric inpatient facilities and by others in the same neighborhoods. Archives of General Psychiatry, 1998. 55: 393–401. 6. British Film Institute. 39 Steps to Hitchcock | BFI | British Film Institute. http://explore.bfi.org.uk/39steps (accessed 10th Feb 2013). 7. Benbow A. Mental Illness, Stigma, and the Media. Journal of Clinical Psychiatry 2007; 68 (supplement 2): 31-35. 8. Byrne P. Fall and rise of the movie ‘psycho-killer’. Psychiatric Bulletin 1998, 22:174-176. 9. Wahl O., Lefkowits JY. Impact of a Television Film on Attitudes Toward Mental Illness. American Journal of Community Psychology 1989, Vol. 17, No. 4: 521-528. 10. Domino, G. Impact of the film, “One Flew Over the Cuckoo’s Nest,” on attitudes toward mental illness. Psychological and Social Psychology 1983, 39, 578-589. 11. Hamill, R., Wilson, T. D., & Nisbett, R. E. Insensitivity to sample bias: Generalizing from atypical cases. Journal of Personality and Social Psychology 1980, 39, 578-589. 12. Allen R., Nairn RG. Media depictions of mental illness: an analysis of the use of dangerousness. Australian and New Zealand Journal of Psychiatry 1997; 31:375-381. 13. Philo G., Secker J., Platt S., Henderson L., McLaughlin G. and Burnside J. The impact of the mass media on public images of mental illness: media content and audience belief . Health Education Journal 1994; 53: 271-281.